British Actor Peter James O’Toole was Born 2 August 1932, He attended the Royal Academy of Dramatic Art, and began working in the theatre, gaining recognition as a Shakespearean actor at the Bristol Old Vic and with the English Stage Company, before making his film debut in 1959.He achieved stardom playing T. E. Lawrence in Lawrence of Arabia (1962) for which he received his first Academy Award nomination. He received seven further Oscar nominations – for Becket (1964), The Lion in Winter (1968), Goodbye, Mr. Chips (1969),The Ruling Class (1972), The Stunt Man (1980), My Favorite Year (1982) and Venus(2006) – and holds the record for the most Academy Award acting nominations without a win. He won four Golden Globes, a BAFTA and an Emmy, and was the recipient of anHonorary Academy Award in 2003. O’Toole began working in the theatre, gaining recognition as a Shakespearean actor at the Bristol Old Vic and with the English Stage Company, before making his television debut in 1954. He first appeared on film in 1959 in a minor role in The Day They Robbed the Bank of England. O’Toole’s major break came when he was chosen to play T. E. Lawrence in David Lean’s Lawrence of Arabia (1962), afterMarlon Brando proved unavailable and Albert Finney turned down the role. His performance was ranked number one in Premiere magazine’s list of the 100 Greatest Performances of All Time. The role introduced him to US audiences and earned him the first of his eight nominations for the Academy Award for Best Actor.O’Toole is one of a handful of actors to be Oscar-nominated for playing the same role in two different films; he played King Henry II in both Becket (1964) and The Lion in Winter (1968). O’Toole played Hamlet under Laurence Olivier’s direction in the premiere production of the Royal National Theatre in 1963. He demonstrated his comedic abilities alongside Peter Sellers in the Woody Allen-scripted comedy What’s New Pussycat? (1965). He also appeared inSeán O’Casey’s Juno and the Paycock at Gaiety Theatre, Dublin. .O’Toole won an Emmy Award for his role in the 1999 mini-series Joan of Arc. In 2004, he played King Priam in the summer blockbuster Troy. In 2005, he appeared on television as the older version of legendary 18th century Italian adventurer Giacomo Casanova in the BBC drama serial Casanova. The younger Casanova, seen for most of the action, was played by David Tennant, who had to wear contact lenses to match his brown eyes to O’Toole’s blue. O’Toole was once again nominated for the Best Actor Academy Award for his portrayal of Maurice in the 2006 film Venus, directed by Roger Michell, his eighth such nomination.O’Toole co-starred in the Pixar animated film Ratatouille (2007), an animated film about a rat with dreams of becoming the greatest chef in Paris, as Anton Ego, a food critic. O’Toole appeared in the second season of Showtime’s successful drama series The Tudors(2008), portraying Pope Paul III, who excommunicates King Henry VIII from the church; an act which leads to a showdown between the two men in seven of the ten episodes.On 10 July 2012, O’Toole released a statement that he was retiring from acting and he sadly passed away 14 December 2013 but has left the world with some fantastic films. Joe Lynn Turner, American singer-songwriter and guitarist (Deep Purple, Rainbow, Fandango, Brazen Abbot, and Hughes Turner Project was born 2 August 1951. British rock band Deep Purple were formed in Hertford in 1968.They are considered to be among the pioneers of heavy metal and modern hard rock,although their musical approach changed over the years.Originally formed as a progressive rock band, the band’s sound shifted to hard rock in 1970. Deep Purple, together with Led Zeppelin and Black Sabbath, have been referred to as the “unholy trinity of British hard rock and heavy metal in the early to mid-Seventies”. 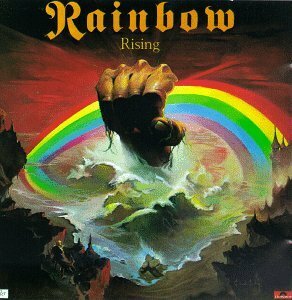 They were listed in the 1975 Guinness Book of World Records as “the globe’s loudest band” for a 1972 concert at London’s Rainbow Theatre,and have sold over 100 million albums worldwide, including 7.5 million certified units in the US. There band has gone through many line-up changes and an eight-year hiatus (1976–1984). The 1968–1976 line-ups are commonly labelled Mark I, II, III and IV. Their second and most commercially successful line-up featured Ian Gillan (vocals),Jon Lord (organ), Roger Glover (bass), Ian Paice (drums), and Ritchie Blackmore(guitar). This line-up was active from 1969 to 1973, and was revived from 1984 to 1989, and again from 1992 to 1993. The band achieved more modest success in the intervening periods between 1968 and 1969 with the line-up including Rod Evans(vocals) and Nick Simper (bass, backing vocals), between 1974 and 1976 (Tommy Bolin replacing Blackmore in 1975) with the line-up including David Coverdale(vocals) and Glenn Hughes (bass, vocals), and between 1989 and 1992 with the line-up including Joe Lynn Turner (vocals). The band’s line-up (currently featuring Ian Gillan, and guitarist Steve Morse from 1994) has been much more stable in recent years, although organist Jon Lord’s retirement from the band in 2002 (being succeeded by Don Airey) left Ian Paice as the only original Deep Purple member still in the band. Deep Purple were ranked number 22 on VH1’s Greatest Artists of Hard Rockprogramme and a British radio station Planet Rock poll ranked them5th among the “most influential bands ever”. At the 2011 Classic Rock Awards in London, they received the Innovator Award. In October 2012, Deep Purple were nominated for induction into the Rock and Roll Hall of Fame. Lee Mavers, English singer-songwriter and guitarist with English rock band the La’s, was Born 2 August 1962. The La’s are from Liverpool, and were originally active from 1984 until 1992. Fronted by singer, songwriter and guitarist Lee Mavers, the group is best known for their hit single “There She Goes”. The band was formed by Mike Badger in 1984 and Mavers joined soon after, although for most of the group’s history, the frequently changing line-up revolved around the core duo of Lee Mavers (vocals, guitar) and John Power (bass, backing vocals) along with numerous other guitarists and drummers including Paul Hemmings, John “Timmo” Timson, Peter “Cammy” Camell, Iain Templeton, John “Boo” Byrne, Chris Sharrock, Barry Sutton, and Neil Mavers.After the departure of Badger in late 1986, the band signed to Go! Discs in 1987 and commenced recording of their debut album. Following the release of singles “Way Out” (1987), “There She Goes” (1988) and “Timeless Melody” (1990) and having aborted several recording sessions with different producers, the band released their debut album The La’s in 1990 to critical acclaim and modest commercial success. John Power left The La’s to form Cast and the group entered a prolonged hiatus in 1992 which lasted almost two decades. The group later reformed briefly in the mid-1990s, 2005 and 2011. However, no new recordings have been released.